London, How do I love thee? Let me count the ways. You never fail to surprise me, there is something beautiful to look at on every corner. Your streets and alleyways are full of history and I am never bored when I spend time with you. 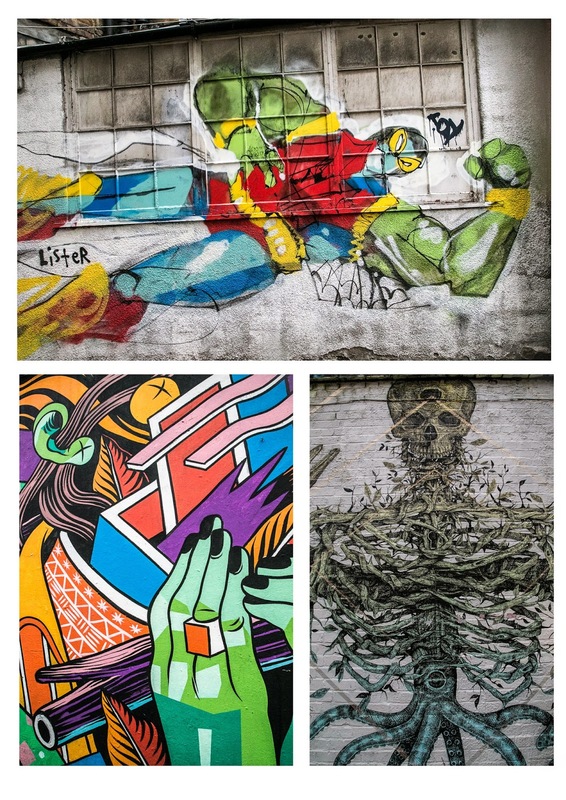 We spent this last weekend in London and took the "Alternative London" walking tour which highlights the graffiti/street art on the East side. Our guide did a good job explaining the non-commissioned street art movement and introduced us to some of the more famous artists, their styles and techniques. The art is really, really cool! The only problem with the tour (or at least our guide) was, during our 1.5 hour walk, we stopped to talk about the current socio/economic changes occurring in the East end as much as we talked about art. I didn't mind hearing his perspective, it just needed to NOT make up 40-50% of the tour. The good news is, it was a tip based tour, so I could pay accordingly. 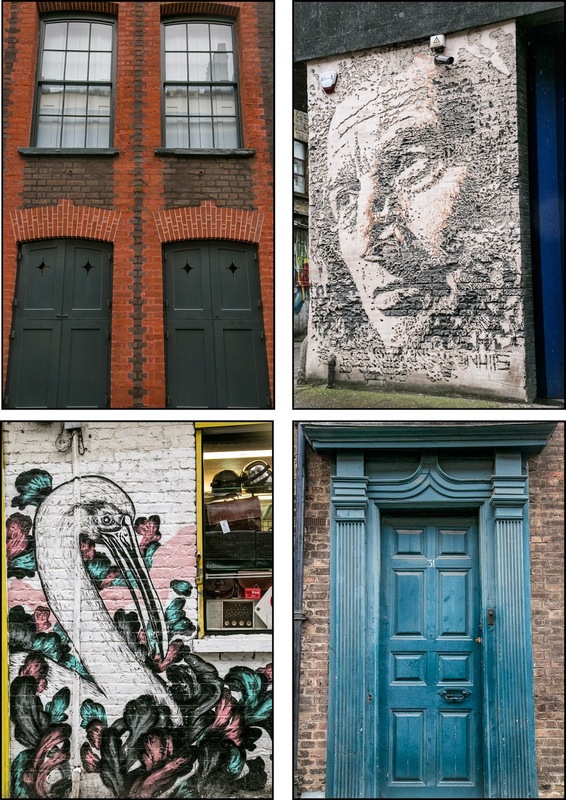 If you find yourself in London, head to the east side, Brick Lane to be exact, and wander the streets. You really don't need a guide as art is everywhere and there are some amazing places to eat as well. Enjoy the photos. 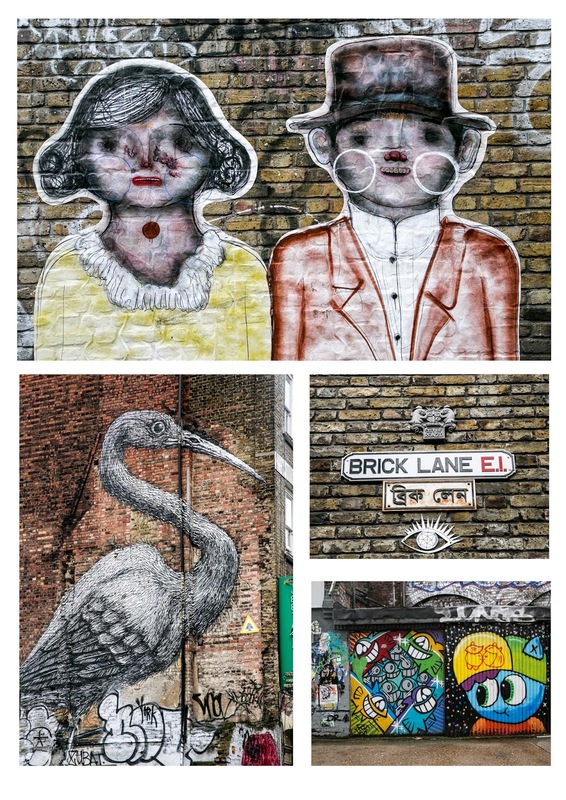 Great street art around Brick Lane (not Brick Street) in the Eas tEnd of London. Your last comments are so right, you really don't need a guide, just explore on your own and you will be surprised what you can find. I love London! There's always something new to be discovered. Next time I'll check out the East end, which is actually the part I know the least in the city. Great photos! Stunning! The size of some of this art on the buildings amazes me. I hope to visit London again someday -- and I would love to see this street art up close and personal. I love your image of the blue door, too. I love doing this, and you're right, the art is everywhere. I do hope you stopped in Brick Lane market for some of the amazing street food too! Those are fantastic art. Love the quaint blue door, murals are all impressive. So cool! How do you find the time to travel so much with the children being in school. Kelleyn, our school has a holiday almost every month--In Germany we celebrate practically all the Catholic holy days, so it makes for a lot of 3 day weekends + fall break + Christmas +ski week + Easter break. The school year doesn't end until the last week in June. OMGOSH! Brick Lane was my FAVORITE part of my last visit to London! Did you get to the other end and eat at any of the curry houses?